After a late night of final discussion and planning, my alarm set off at 6 the next morning. With thrill running all over, I effortlessly slipped into my chuba and prepared myself for the unravelling of Rigdol’s historic site specific art installation in Dharamsala. 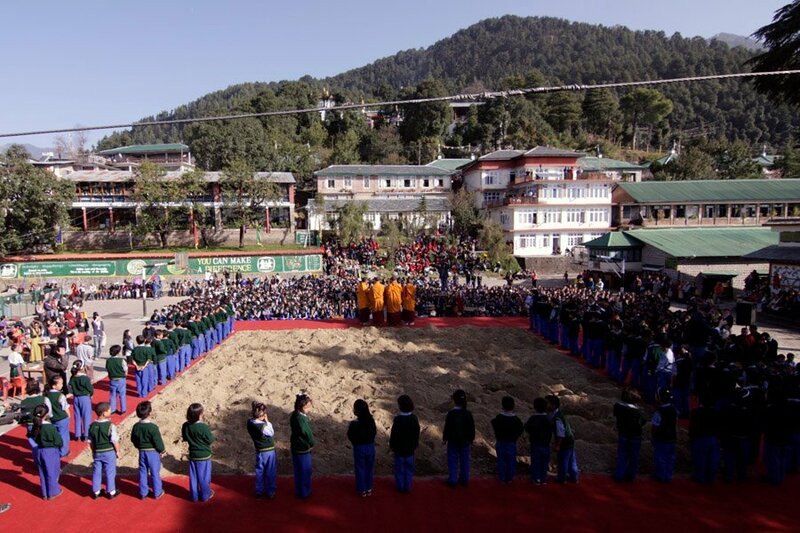 As I watched Tibetans from all walks of life, overflow with emotions withheld for decades, walking firmly on the 20 tonnes of soil from Tibet, I called to my mind a similar experience I underwent in the summer of 2002 when I returned to India to the Indo-Tibet border in Sikkim for my high school break. That was the first time I ever was closest to Tibet, high up in the hills overlooking the valleys and paths winding down at the distance. I was shocked to find how a simple border no less than 3 feet tall distanced me from my land an inch away. Apart from the conversations with my friends on the random exchanges of cigarette packets between the guards at the border, I was moved to learn how people developed a system of delivering letters every Thursday through the border to their relatives in Tibet. The whole experience was no less exhilarating to what I felt at Rigdol’s “Our People, Our Land” art installation which allowed me revisit a poem I wrote after the visit at Nathula (Indo-Tibet border in Sikkim). And goes there every Thursday. across that 3 feet tall border. Which along the border lay. to seize a piece of my land across. And before I unite again, I must leave. Taller than the 3-Feet-tall border. In May 2011, I went to Nathula and then taking courage, I stepped across the barbed wire that you speak of. For just a moment in space and time, I was in the land from where by great grandfather had come. I offered a silent prayer that His Holiness would one day be able to return to the land whose people silently awaits him.